The Jane Foster in these shots is Kes, a cosplayer from Germany who has been building outfits and dressing up for over a decade. The Thor, on the other hand, is her boyfriend Marcel, who is cosplaying for the first time. 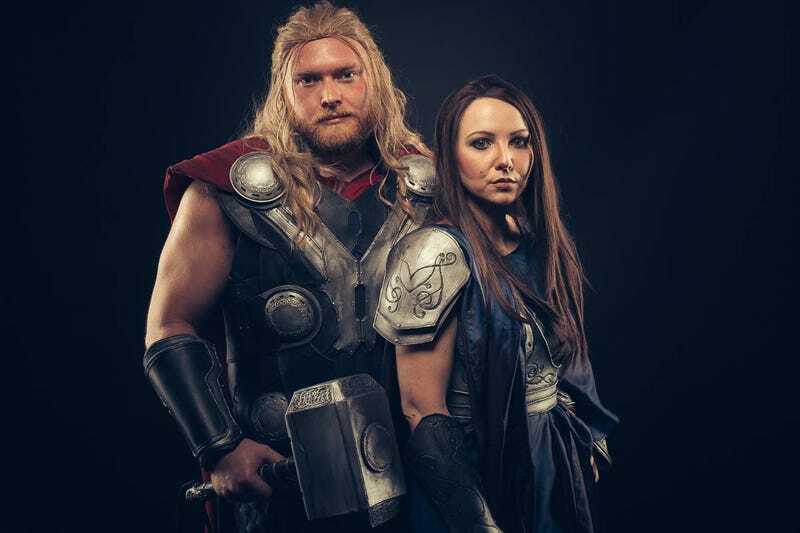 So the pair decided to cosplay as Thor and Jane, heading out together to Comic Con Germany earlier this month.